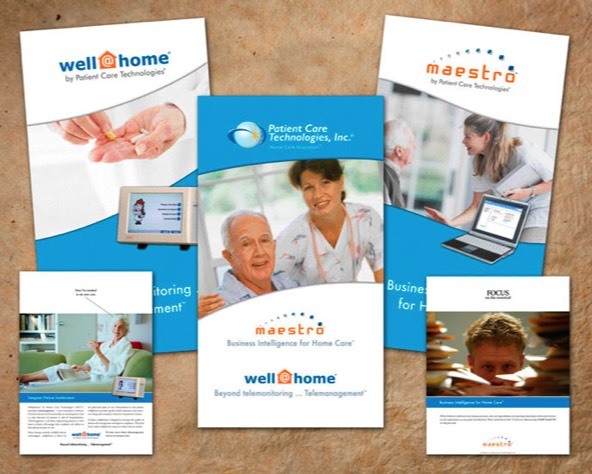 Patient Care Technologies is one of the leading home healthcare technology companies. Recently, they’ve experienced an increase in competition, inefficiency in their existing internal branding efforts, and poor experiences working with outside vendors. The client was pleasantly surprised by the innovative thinking that came from the creative process to ensure a positive return on their investment. Now they see the value of a partnership in the client/designer relationship and with the direction of their brand.